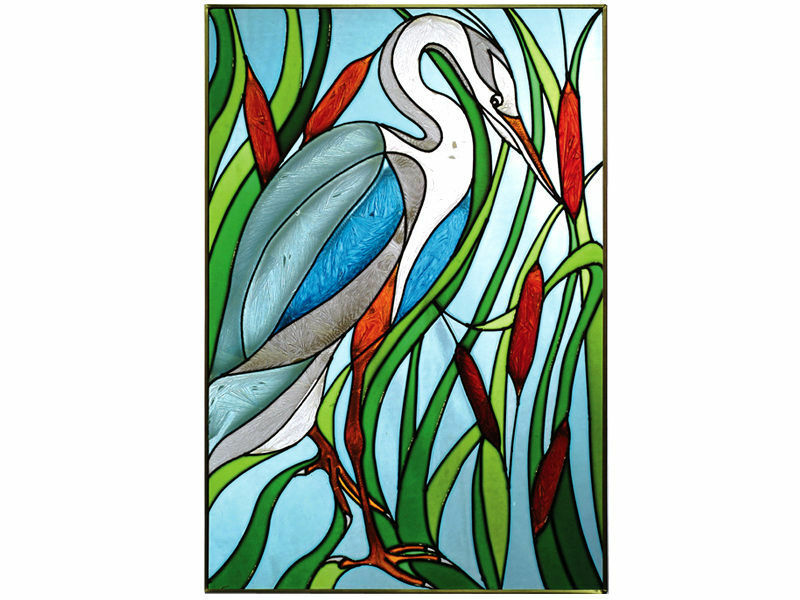 "Stained Art Glass BLUE HERON Suncatcher" This striking, contemporary hand-painted design captures the graceful moves of the majestic Blue Heron. This zinc-framed panel features two soldered metal rings along the top for hanging. Measures 14" wide x 20.5" high. Free Chain Kit Included!! !